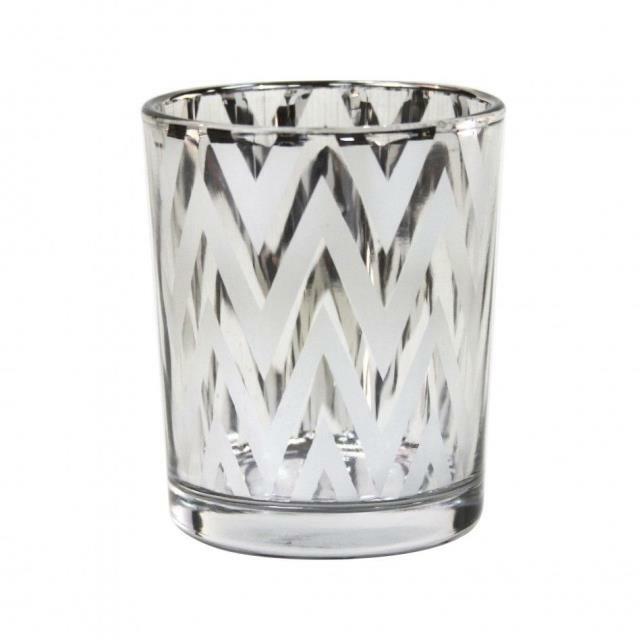 Glass votive holder with silver chevron design. 2 1/2" high, 2" diameter. Includes tea light candle. * Please call us with any questions you may have about our silver chevron votive holder rentals/sales in State College, serving Central Pennsylvania.